The Susanna collection offers docks of different sizes and shapes. Susanna docks offer an extremely versatile and attractive solution for swimming and boating use as well as for larger swimming facilities. Susanna was Laakson Laiturit's first dock collection. 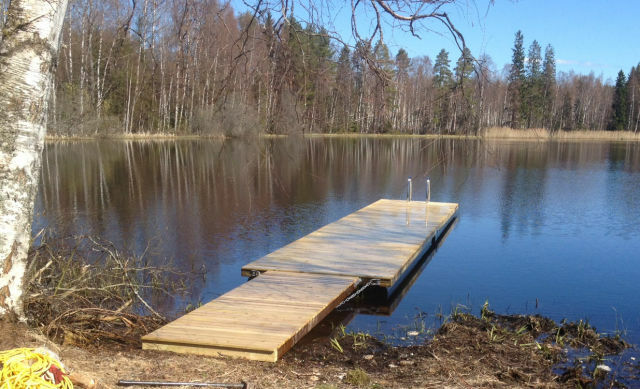 Since 1989, thousands of different Susanna dock assemblies have been delivered in Finland as well as in other Nordic Countries. The Susanna collection has become a mainstay among swimming, leisure and boat docks at cottage shores. Susanna dock elements have also been used to build extremely functional and imposing swimming docks at public beaches. Susanna docks are composed of floating dock elements and a ramp. The dock's width and deck height vary by model. Little-Susanna (Pikku-Susanna) and Low-Susanna (Matala-Susanna) docks are well-suited for swimming and canoeing use because of their low deck height. When an even slightly larger boat will be moored at the dock, choose the higher High-Susanna (Korkea-Susanna). 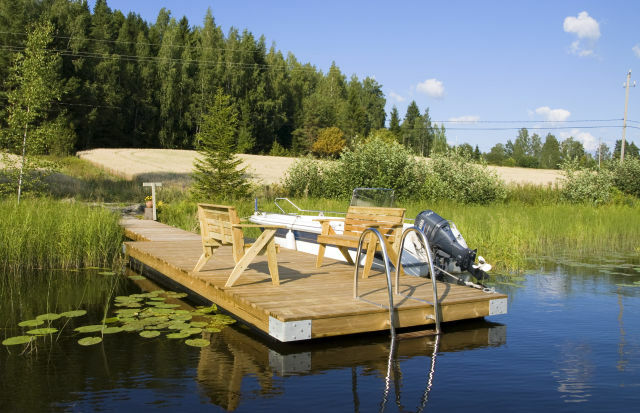 Basic-Susanna (Perus-Susanna) is well-suited as a dock for both swimming and mooring small boats. Excluding the Basic-Susanna dock, it is possible to combine the Susanna dock floating elements both lengtwise and lateraly, creating a dock in an L or a T-shape. The Basic-Susanna dock can not be modified. Susanna docks can be equipped in many different ways.